Ten years ago, glamping wasn’t a big thing. There was camping, and there were fancy hotel stays and trips abroad but the term ‘glamping’ – AKA glamorous camping – was relatively unheard of. Fast forward to today, and glamping is a huge industry that’s growing every month. 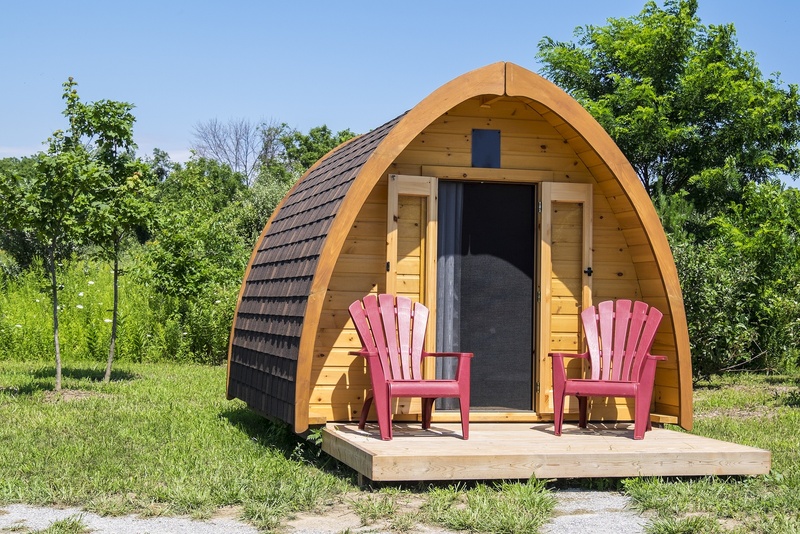 Due to how successful the glamping industry has become, competition within it is huge, which means that if you’re going to launch a business, you need to get every single aspect of doing so right. Bearing that in mind, below is a guide to how you can launch a successful and highly competitive glamping business. For all of the best tips, ideas and inspiration, read on. The first step to launching a glamping business is to choose a theme for it. You might think that this sounds strange because surely glamping is the theme, but actually, every glamping location has a theme, as does every holiday location. Whether that theme is nature, seaside, farmyard, etc. it doesn’t matter, just as long as you choose a theme and do it well. If your current home has all the space that you require to create your glamping site, then there’s no need to move. But if your home just doesn’t have the space that you require to create the ideal destination, you may want to consider moving. Say, for instance; you want to create a farm-themed glamping site, then you might want to look at farm ranches for sale. Or, if you want to have a seaside-themed location, you may want to search for properties by the sea. When it comes to glamping, the key to success is simple: combine luxury with authenticity. People want an authentic camping experience with all the glamour of staying in a luxury hotel. This means investing in bell tents or yurts made of traditional canvas but fitting them out with luxe furniture, expensive mattresses, high thread count sheets and beautiful bedding. Chic accessories like wooden apple crates, antique lanterns, geometric rugs, bunting, and fairy lights are also crucial. You can match all of these things to your chosen theme. In addition to having a luxury shower block offering hot, indoor showers, adding an outdoor solar shower could be a great feature to offer. You could also consider offering some of the accommodation with an outdoor fire heated hot tubs. Your guests want to be outdoors but without compromising on luxury. Aim to keep as much of what you offer local and organic. From the food that you have on offer to the activities that you provide, locality is the key to success. If you offer breakfast, for example, use local free-range eggs, bread from a bakery nearby, meat from a local butcher, homemade jams and chutneys – people want local. For activities that you offer, bring in people to offer activities linked to the local area. Live in an area famous for lace? Offer traditional lace making classes. Live somewhere that’s famous for silk painting? Offer classes. It’s all about keeping every aspect of what you offer local. There’s such incredible potential for success when it comes to starting a glamping business; it’s just a case of ensuring that you take the right steps and know how to turn your startup into a profitable and prosperous brand.